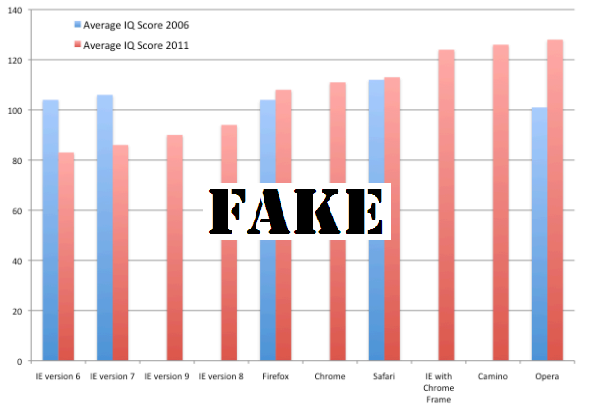 The site will surely pull down the fake study, or even the site. But what I find interesting is the speed and authority with which the news of the study spread over the Net over a very short period of time. In this day and age of ubiquitous connectivity, news is created and spread faster then it is authenticated (cue: the brilliantly funny Colbert video posted below). However, it is also true that the research for authenticity is also made more convenient by the Net. The moral of the story: take news from the Net with a pinch of salt and a bit of time (thyme :). Stephen Colbert ridicules the media for gun-jumping to label Norway’s gunman as a Muslim fundamentalist. Finally, you can download the fake study report here. Update 1: AptiQuant clarified their position as having started the hoax to highlight the incompatibilities of EI6, and also posted tell-tale signs that should have revealed the hoax.